Some months ago I found myself looking back over the past few years. 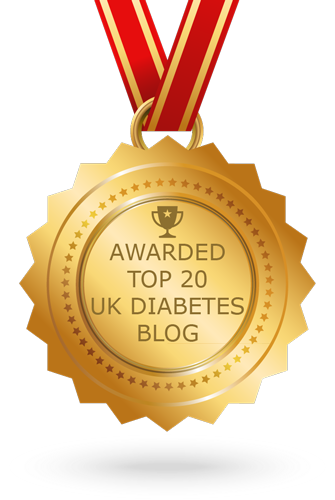 If you've read our blog before (congratulations on your uncommon stick-ability) you may remember that we began writing about my diabetes as a family as a result of an unusually nasty hypo. 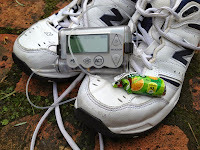 One which made me question whether I was quite as competent at managing my diabetes as I liked to think I was. Posts from others in the household have dwindled rather, and you've ended up stuck with me. Sorry about that. But I look back over the past few years and realise that I have been on a full-on misty-eyed X-Factor-Strictly-Voice-finallist 'journey'. 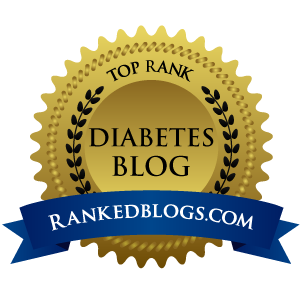 I was reminded about this yesterday while reading a blog post by The Grumpy Pumper about his own story of venturing into the Diabetes Online Community (DOC). I have had similar conversations with Dave (@SowerBee) previously too. This is a pattern I see repeating, time and time again in the experiences of others just as it did with me. But there are still so many people at point 5 or 6. People for whom the standard structure of clinic appointments just isn't quite working, but who either don't realise that 'peer support' like the DOC exists, or who would run a mile from the very idea of it, believing that it is 'not for them'. I know the second group well. I was a fully paid-up member for all the years that deep-down in my heart I knew I was struggling a little, but made myself believe that 'this was as good as could be expected' and 'nothing works'. 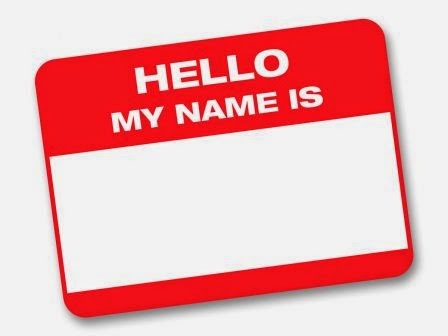 Of the 300,000 people living with Type 1 in the UK how many are connected with others? 3,000? 10,000? That still leaves the vast majority 'soldiering on' on their own with only an Annual Review for company. Don't get me wrong. I'm not saying that peer support could fully replace 'proper' consultations with qualified and well-trained healthcare professionals. I am aware that dark, weird and scary corners of the internet exist, where all sorts of odd ideas are bandied about as fact (though these are hard to maintain in well-populated, mixed groups and in my experience the DOC doesn't stand for nonsense). But I'm also aware that there is nothing quite like hearing experiences of someone in your position, who does live with the same condition as you every day. Who faces the same struggles and has tried strategies that you might consider. I've also spotted another phenomenon. If you attend a 'meet up' of forum posters, bloggers, tweeters or others who live with diabetes you will not be able to get them to shut up. In fact, you will struggle to get a word in edgeways. Questions will be asked, approaches and strategies compared, support offered, understanding and empathy for the sheer relentlessness of it all given freely. I'm also aware that every day, up and down the land, dozens of people sit side-by-side with other people with diabetes in stony silence. And this strikes me as odd. Or at the very least a massive missed opportunity. I've been meaning to write this post for months, but kept putting it off because I could never quite get my head around the details. To be honest I couldn't even work out a proper title for the post (this you will have noticed). But the time has come to just 'put it out there' to see if some brave Consultant or Clinical Lead can do something with it. Someone like Partha perhaps? Here it is: Wouldn't it be great if there was a way to harness all those wasted minutes in the waiting rooms at diabetes clinics. If there was some way of facilitating peer discussion and support while we are all sat there waiting for our number to come up. At the very least it might prompt some actual questions to ask in the appointment itself, rather than everyone just sullenly descending into smile-grunt-nod territory. Of course there would have to be some sort of 'opt out' for people who simply can't face the idea. But I'd love it if we could break the unwritten rule in diabetes clinic waiting rooms that 'thou shalt not say anything to anyone'. For people to be actively encouraged to compare experiences and support each other. So that each clinic appointment would combine the very best of both D-meetups and HCP input. If that was on offer - would you join in? I was remembering back to my heady art college days recently, particularly some early experiments with animation. Animators at the Disney studios developed 12 principles of diabetes animation in the 1930s, including anticipation, follow through, slow in/slow out and, of course, squash and stretch. All these seem to have an uncanny resemblence to how my blood glucose levels have been behaving. From time to time (read more or less constantly) I seem to go through periods of change where I need tweak various doses, ratios and settings in order to get them to behave normally*, so that the dose and timing of insulin for a meal which worked perfectly last week might be expected to work again for the same meal this week - in the SAME way (craziness!). 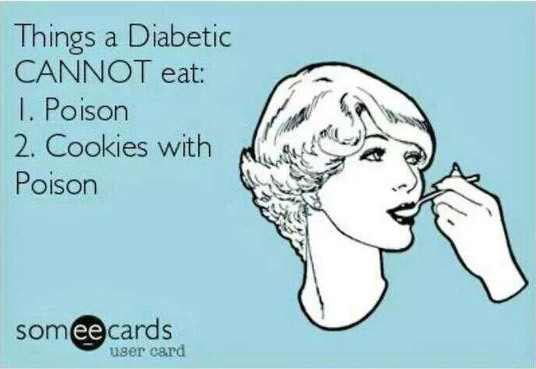 * I realise, of course that this has no actual meaning in day-to-day diabetes management terms. But it is, nevertheless, a nice idea. An obvious one might be during a period of illness. 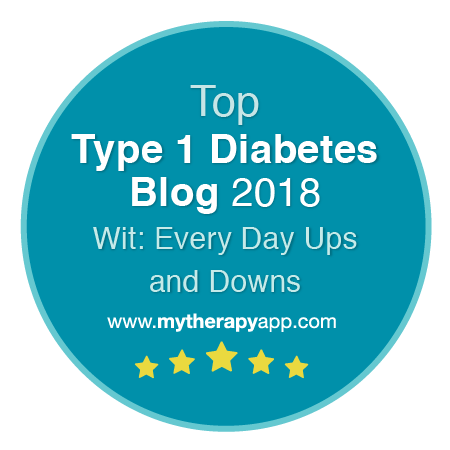 You expect your insulin requirements to increase at some point, to some unknown level... but it's very difficult to actually anticipate with any certainty what the change might be and when it might happen. Even with illness, some coughs and colds behave completely differently to others BG-wise. Some are all up front. And it's only later when the sore throat appears that you understand why you've been fighting double figures (200s for US readers) for days. Other times you can have all the symptoms of a stinking cold, but BG just potters along entirely unaffected. Then if you have needed to up all your basals and/or doses, you know that at some (again unknown) point in the future you will need to rein them all back in again or you'll be landed squarely in hypo-central. Another favourite is a fall-off of gym visits during a school holidays. I'm just coming into that now - the girls break up for Easter today. As the rhythm of the house changes I find it all but impossible to get up and out early enough to get to the gym and still be able to start work on time. For the first week things often toddle along as normal, but then one day in week two BAM! It's as if my insulin has turned to water. So I try to make sensible, small changes to basals. Enough to have an effect, but not so much as to go too far the other way. The constant balancing act. This usually involves a frustrating few days of doing battle with double-digit readings, however careful I am being with food and carb counts. More recently I have also noticed an unusual phenomenon which I will be watching with interest this time. 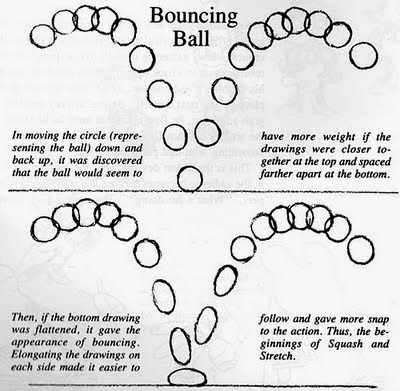 In animation 'slow in/slow out', 'squash and stretch' and 'follow through' refer to a more realistic way of handling movement. Movement tends to begin gradually, then accelerate, then slow again into changes of direction. You can almost feel it in yourself as you move about. Squash and stretch and follow through relate to the way animated objects often appear more satisfying if there is a little elasticity added. Rather than just stopping hard at the end-point there's a little extra movement beyond it and then a bounce-back to rest. This seems to be exactly what happens with my dose tweaks too. I battle with highs for days struggling to find the right level of increase. Then I find it and I get perhaps a day or two of good numbers. But then I seem to get a little 'bounce back' and have a day of low readings where I have to dial the adjustments back down again to counter. And then things settle. At least for a while... before we're off again. I think it's important for Healthcare Professionals to understand the relentlessness of these daily adjustments when they peer rather disparagingly at a printout of ropey numbers. There is no 'right' set of ratios and correction factors, only 'right for now'. This darned condition doesn't stand still for a minute and all the time you are playing catchup you are logging results that are outside of what you'd like to see, not because you are not trying hard or putting the effort in, but just because the rules have changed. Again. If I get a settled week or two I count myself lucky. But I know that membership of #teamsmug is usually very short lived.